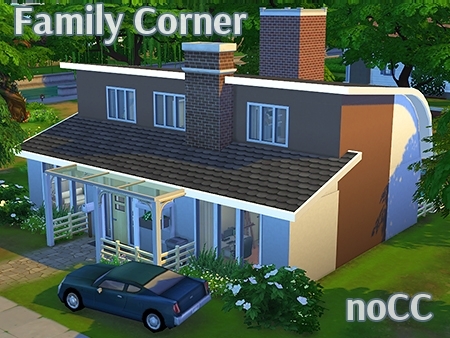 This is house for family of 6 sims: 2 grandparents, 2 parents and 2 children. The cost (with furniture): 138 260 §. Size of lot: 30×20. In work don’t used Custom Content. 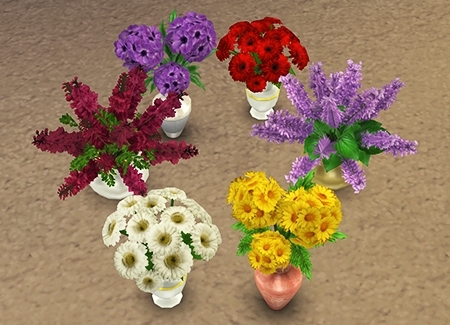 Set consists of 3 objects: mixed bouquet, delphinium and gerbera. 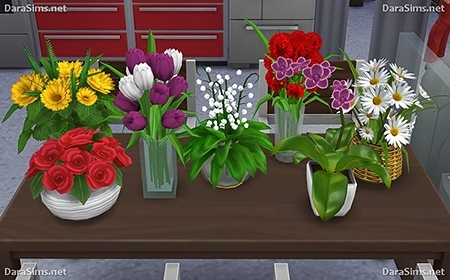 You can find all flowers in category Decor – Plants (all for 15 simoleons). Announcement: global fixes in objects Sims 4 and Sims 3 lately. Please, redownload files and delete old ones before installing new ones! 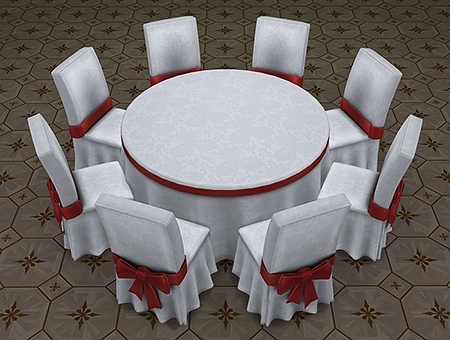 By popular demand, I created additional tables to the previous festive dining set. 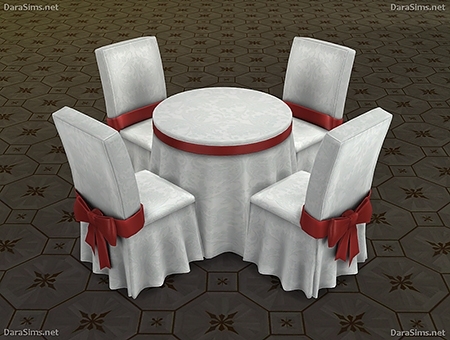 The set consist of 2 dining table: for 6 seats and for 8 seats, which can be varied (see pictures in post). Hi everyone! 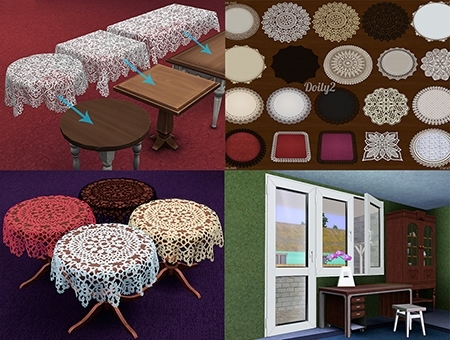 This is conversion of my objects from The Sims 3. Hope you will enjoy! All meshes are possible to recolour (20 swatches), created in original game and should work with any addons. Hi everyone! 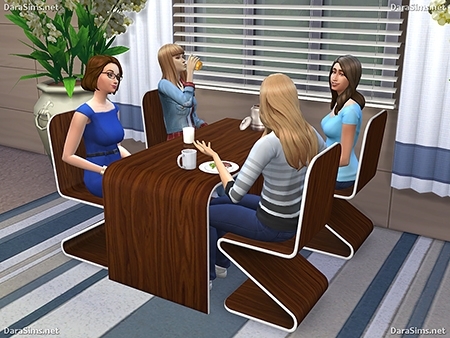 This is conversion of my objects from The Sims 3. Hope you will enjoy! Set consists of 7 objects: roses, camomiles, tulips, flowers (mixed bouquet), chrysanthemum, may-lily and orchid. 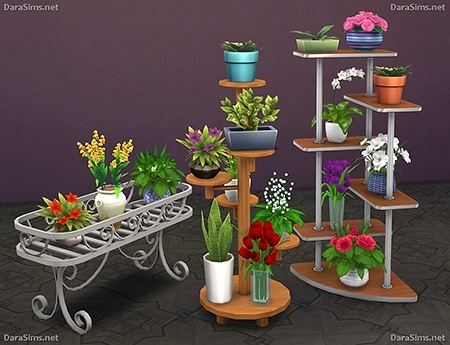 You can find all flowers in category Decor – Plants. 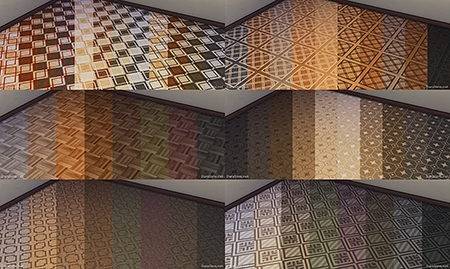 In archive 10 files of wood floors, each of which consist several recolors. 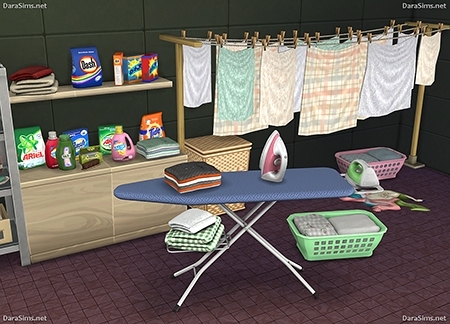 You can find all items in category Floors – Wood (8 simoleons). File names are numbered in pictures. This meshes is created in original game and should work with any addons. You can find all items in category Decor – Clutter / Sculpture / Misc Decoration and in category Bathroom Accent (2$ & 5$).